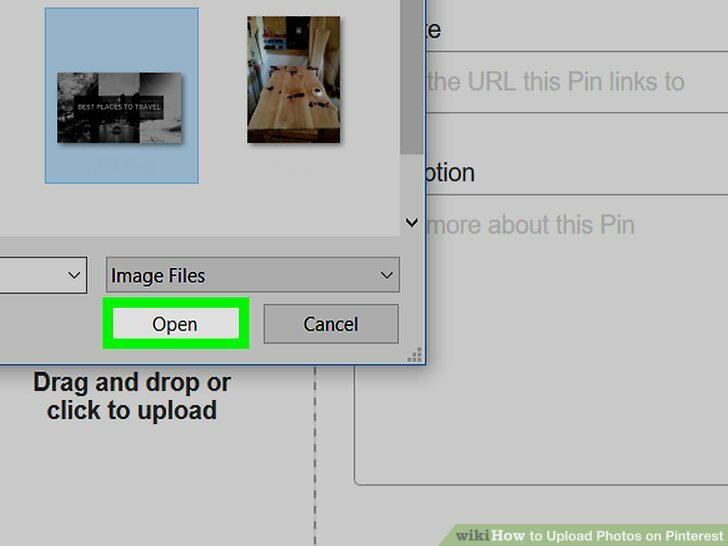 This is how to add (or "pin") a photo from your computer, smartphone, or tablet to one of your Pinterest boards. Open Pinterest. 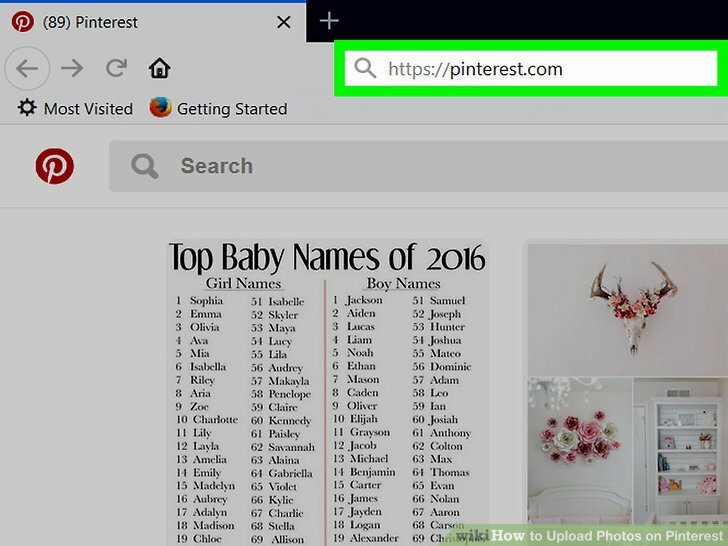 Go to https://www.pinterest.com/ in your browser. 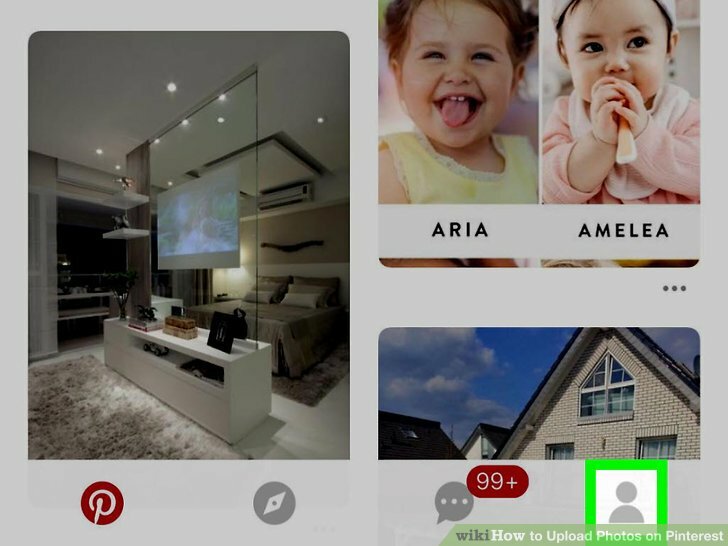 This will open the Pinterest home page if you are logged in. If you're not logged in automatically, enter your username and password, or log in with Facebook. Click ＋. 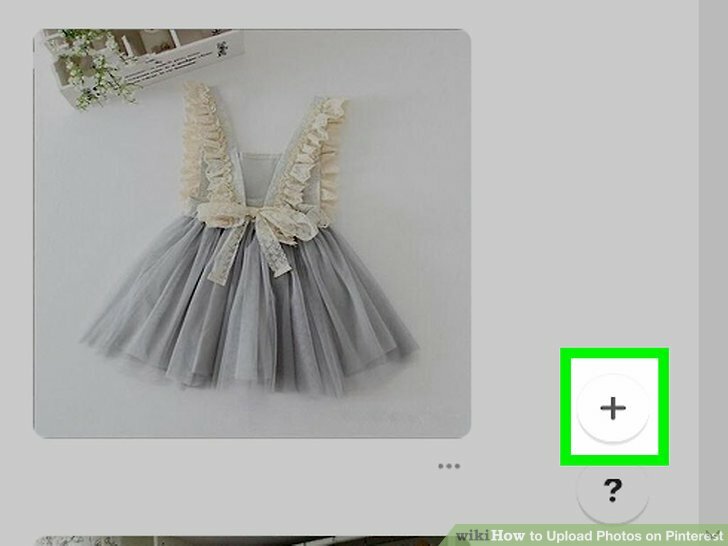 It's in a white circle that's in the lower-right corner of the Pinterest window. A pop-up menu will appear. 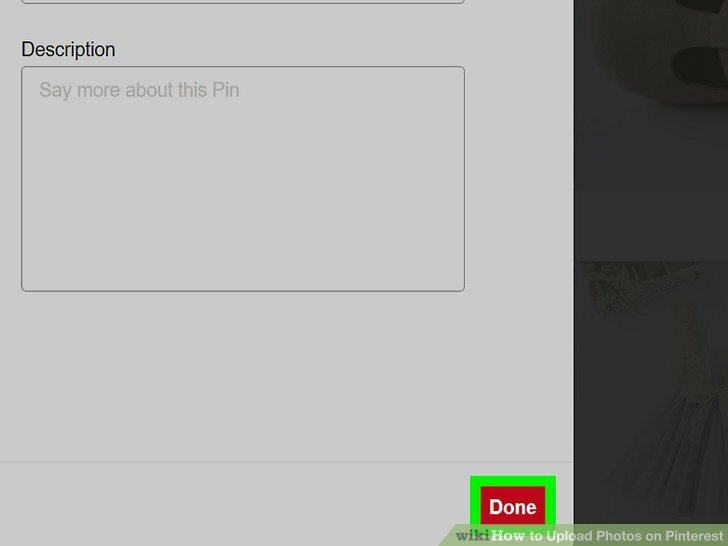 If prompted to get the Pinterest browser button, click Not now and then click the ＋button again. 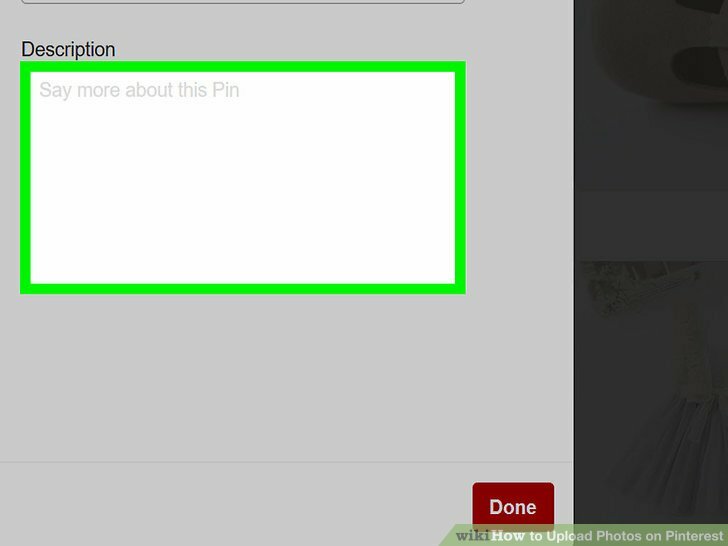 Click on Upload a Pin. It's in the center of the menu. This will take you to a window with photo upload options. Click Drag and drop or click to upload. This section is in the left-hand side of the photo upload window. Clicking it prompts a File Explorer (Windows) or Finder (Mac) window to open. If you don't see this option, click the Upload Pin switch in the lower-left corner of the window. Select a photo. 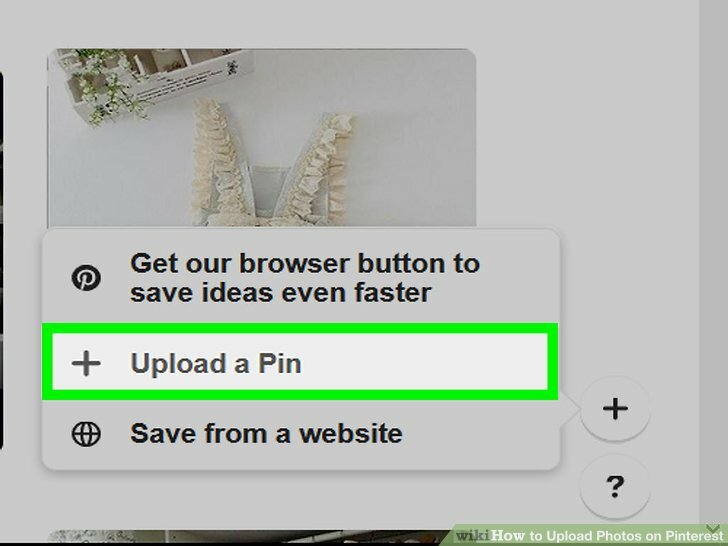 Click the photo that you want to upload to Pinterest. You may first have to click the photo's folder on the left side of the window. Click Open. It's in the bottom-right corner of the Pinterest window. 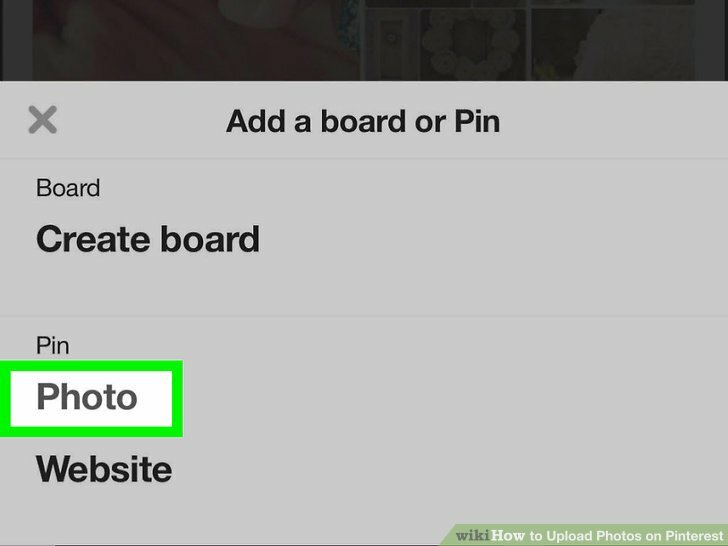 This will upload your photo to Pinterest. Enter a description. If you want to provide a description of your photo, click the "Description" text box and type in your preferred text. Click Done. It's a red button in the bottom-right corner of the window. Select a board when prompted. 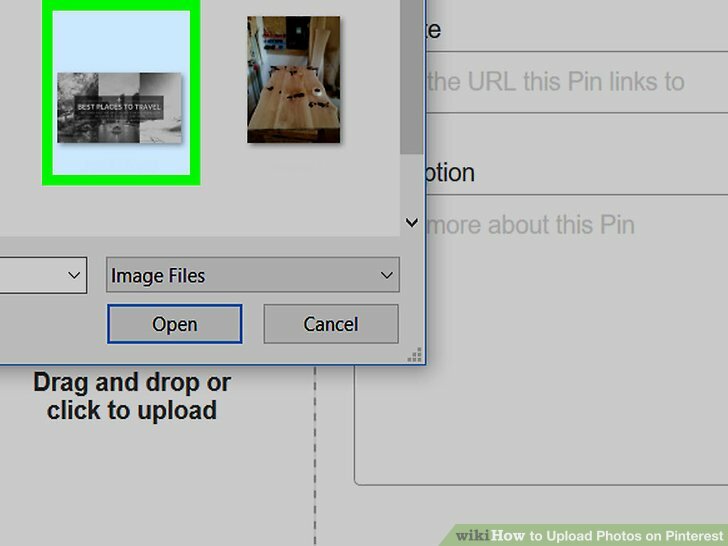 Move your mouse pointer over the board on which you want to save the photo, then click Save to the right of the board's name. Your uploaded photo will be saved. 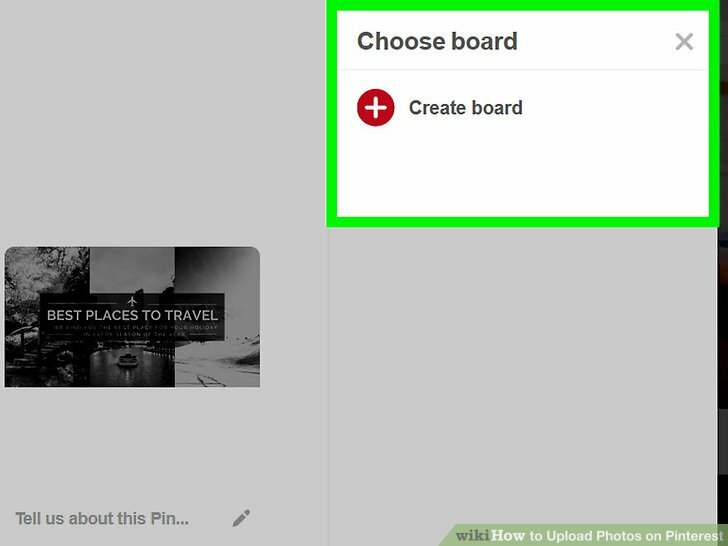 If you want to add the photo to its own board, click Create board, enter a board name, and click Create. Open Pinterest. 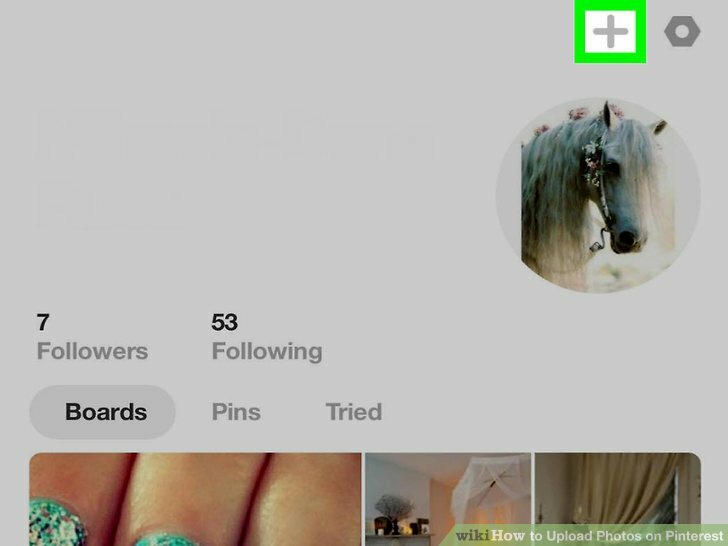 Tap the Pinterest app icon, which resembles a stylized, white Pinside a red circle. 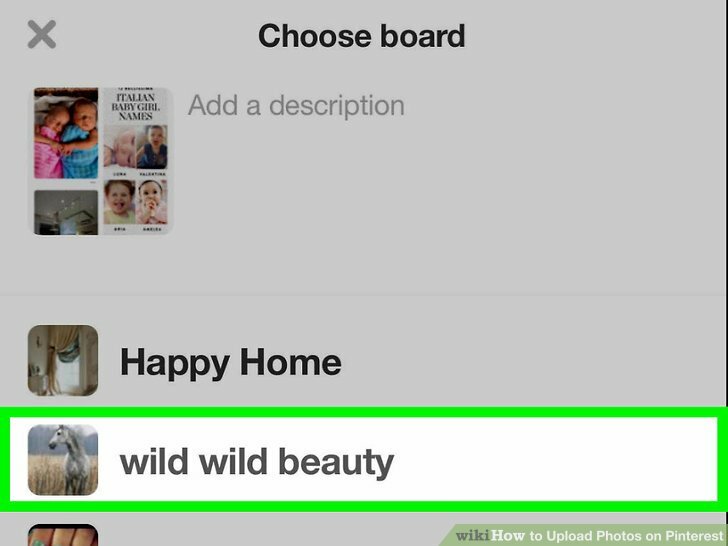 This will open your Pinterest home page if you're logged in. If you're not automatically logged in, sign in with your username and password or via Facebook. Tap the Profile icon. It's a silhouette in the lower-right corner of the screen on iPhone or iPad or in the upper-right on Android. Tap ➕. It's in the upper-right corner of the screen. Tap Photo. It's near the bottom of the menu. 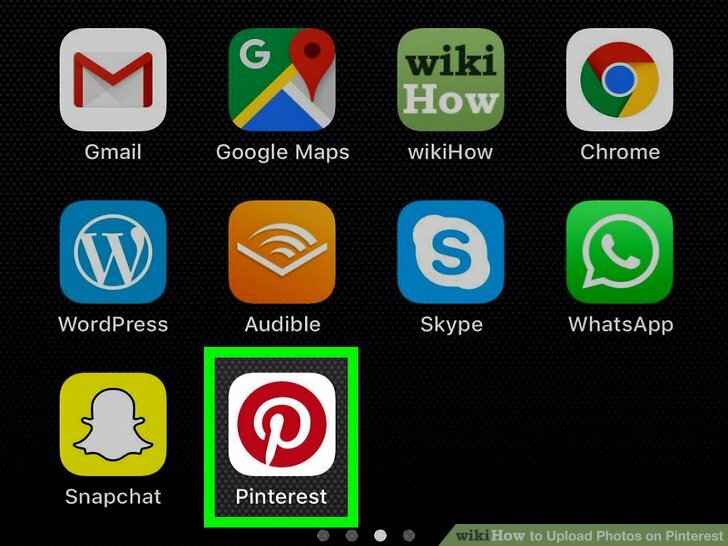 If prompted, allow Pinterest to access the photos on your phone or tablet. Select a photo. 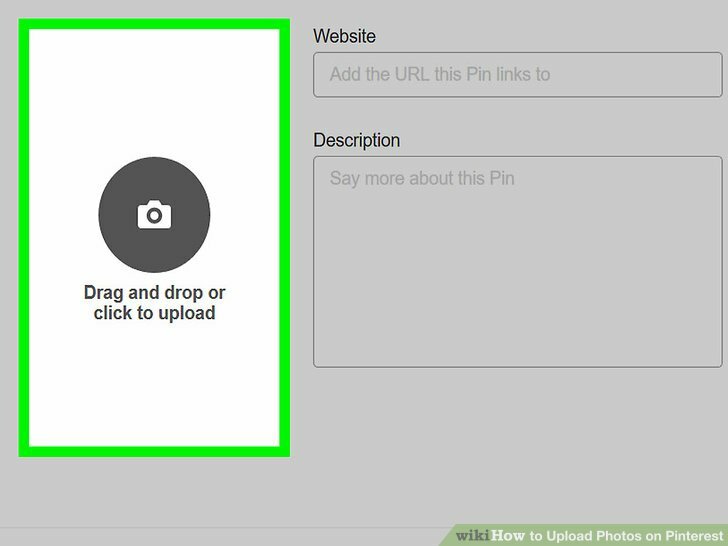 Tap the photo you'd like to upload to Pinterest. Add a description. If you like, type a description into the text field at the top of the screen. Select a board. Tap the board to which you'd like to upload the photo. Doing so will upload the photo to Pinterest; you'll be able to find it by selecting the title of the board to which you uploaded it. 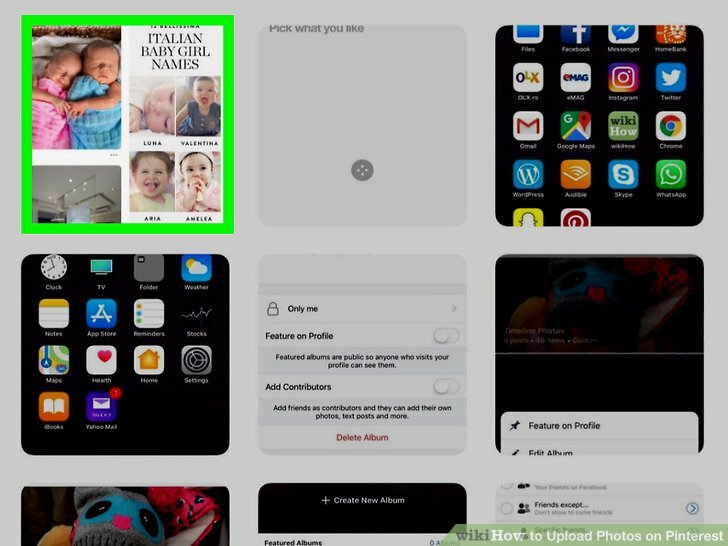 You can also tap Create Board if you'd like to create a specific board for your photo.